Now that everyone is focusing on the cooked earnings reports of Lehman Brothers in 2007-2008, it’s time to reopen a behind the scenes mystery that was never resolved. 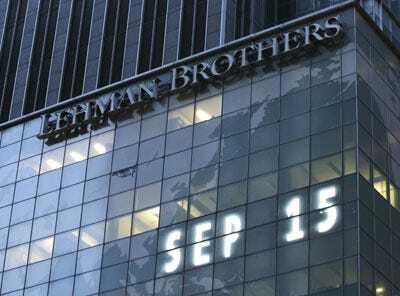 In connection with the earnings report Lehman released on June 16 2008, the firm published a detailed financial appendix breaking down its balance sheet by various asset groups. We now know that the release was very deceptive. While it seemed to show details about the balance sheet, in fact it concealed the most important fact–that many of the alleged asset sales that shrunk the balance sheet and allowed the firm to reduce leverage were accounting fictions. Lehman’s appendix was in the form of a spreadsheet created by Microsoft’s Excel application. The appendix contained hidden author–data that revealed that the spreadsheet was originally authored by Merrill Lynch in January 1998. How did this Merrill spreadsheet wind up at a Lehman financial appendix? In all the years since I first reported this mystery I’ve never been able to find the answer. But with new attention now being paid to those earnings, perhaps now it is time to ask who exactly produced this spreadsheet. What was the connection with Merrill?